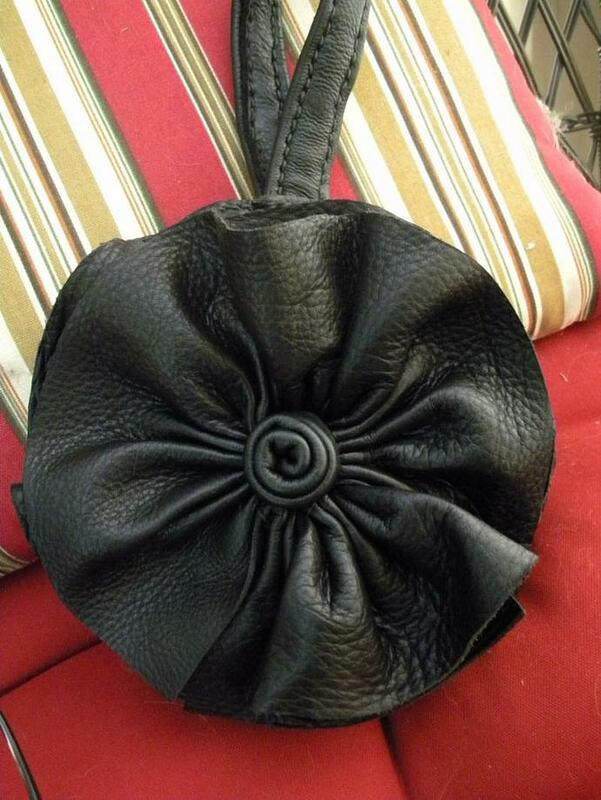 This black leather round wrislet with a ruffle flower is the perfect size for a casual or formal occasion. This piece is constructed from medium weight leather and hand stitched. The ruffle rose edges have been left in their natural state and lends softness and texture. The hand made/hand stitched wrist strap is securely sewn in. No interior pockets, but this bag has surprisingly lots of room. 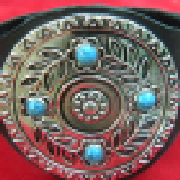 Bag is 8" in diameter, and 13" long with strap and closes with a double sided rhinestone snap. Each bag is made at the time of order and is therefore one of a kind. Please allow 7-10 days for processing.